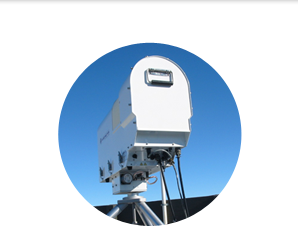 Weather Modification, Meteorological Services, Forecasting - Weather Modification, Inc.
We've developed an array of effective meteorological support services and a powerful selection of supplementary instrumentation. Our services are essential to climatology studies, precipitation enhancement and storm damage mitigation, fog dissipation, weather forecasting, and many other meteorological projects. Our meteorologists regularly prepare project-specific weather forecasts for clients around the world. We structure our forecasts to your needs, which can be ready for your review at the same time each day, week, month or year. We specialize in forecasting for water resource management goals, but also support construction projects, industry, agriculture, environmental quality, and any specialized needs you may have. We can analyze your existing meteorological data set - no matter what your requirements. Our team is experienced with all data from first-order weather stations: temperature, pressure, humidity, winds and precipitation. We can even take raw, third-party data and create a final report with valuable insight from our team of experts. We can simulate atmospheric processes for a variety of purposes: to predict an occurrence beforehand or to replicate a past storm. Both can be very useful, and contribute to a more complete understanding of an atmospheric event. Our prognostic models are used in real time to forecast anticipated events, winds and precipitation. Synoptic scale Models present atmospheric motions and processes, such as rainfall, over hundreds of miles. While synoptic scale models predict the development and movement of the largest features, warm and cold fronts, lows and highs, they may not accurately depict many smaller-scale events, including terrain-induced weather. National-scale forecast/prognostic maps produced by the United States National Weather Service are examples of synoptic scale models. Mesoscale models predict events in complex terrain, such as hills and valleys, where features may be smaller than what can typically be captured by synoptic scale models. They are useful for predicting sub-synoptic scale weather features. After weather events of interest, we can reinitialize and run a model in diagnostic mode. With subsequent checks and refinements, we can provide a better understanding of atmospheric processes. Weather Modification, Inc., guide models are a type of dispersion modeling useful for understanding the ways in which specific aerosols interact with the atmosphere. These models can predict and replicate the transport and dispersion of an aerosol. We can initialize these models with local soundings and configure for local terrain. The model runs in real time on a PC, providing an economical and reasonable prediction of plume transport. Ask us about other, more-sophisticated models that may be right for your project. Our weather stations and instrumentation can observe and record whatever data you need at your construction, industrial and agricultural sites. Our precipitation measurement instrumentation includes simple, accurate, manually read gauges to sophisticated, automated recording sensors. The Dual Channel Microwave Radiometer is a popular tool for identifying the presence of liquid cloud water for wintertime seeding projects - and it's valuable for summertime work as well. This tool provides real-time remote measurements of atmospheric water vapor and liquid water. When coupled with upper air temperature data it can identify regions of supercooled cloud water in cumuliform clouds. Atmospheric Sounding Systems provide near real-time measurement of upper atmosphere temperature, humidity and winds - data essential for reliable forecasting of convection. These tools are also essential for many cold season projects.